Drake Construction Services provides construction services (for commercial and residential buildings) that help Owners achieve the most out of their construction dollars. Our experience, knowledge and continued pursuit of the latest construction technologies assures project excellence. In order to deliver this excellence, we offer a Design-Build project delivery system that takes advantage of the best attributes from the three most common project delivery systems: Conventional General Contracting (design-bid-build), Construction Management and Design-Build. To assure that every Owner detail is cost effectively incorporated into the project, we begin at the design phase and manage every detail to project completion. During the design phase, we value engineer the project along with the architect and prospective trade contractors. The best opportunity for an Owner to save money is during the design stage as changes are more costly to make during the construction phase. The Owner gets more value-engineering ideas (cost saving opportunities) by having the contractor and interested subcontractors involved during the design phase. 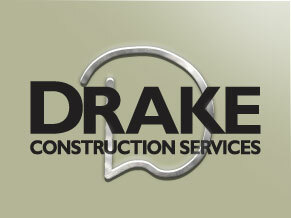 Drake Construction Services Design-Build program incorporates the quality control benefits that Construction Management offers. The Owner can take advantage of current relationships and assure quality control by being involved in subcontractor selections. The Design-Build process allows the Contractor the opportunity to assure that bidding subcontractors are qualified, thereby providing more quality control than can be achieved with Conventional General Contracting. This subcontractor qualification process is not available by selecting a General Contractor through a bid process, which often results in the General Contractor being forced to use subcontractors that may not perform to desired standards. Drake Construction Services Design-Build process includes competitively bidding out the work, like Conventional General Contracting, to get the best prices available. In addition the Design-Build process allows projects to be built sooner as construction can begin prior to all designs being complete. Which ever project delivery system you may choose, Drake Construction Services looks forward to the opportunity to make your construction experience rewarding.